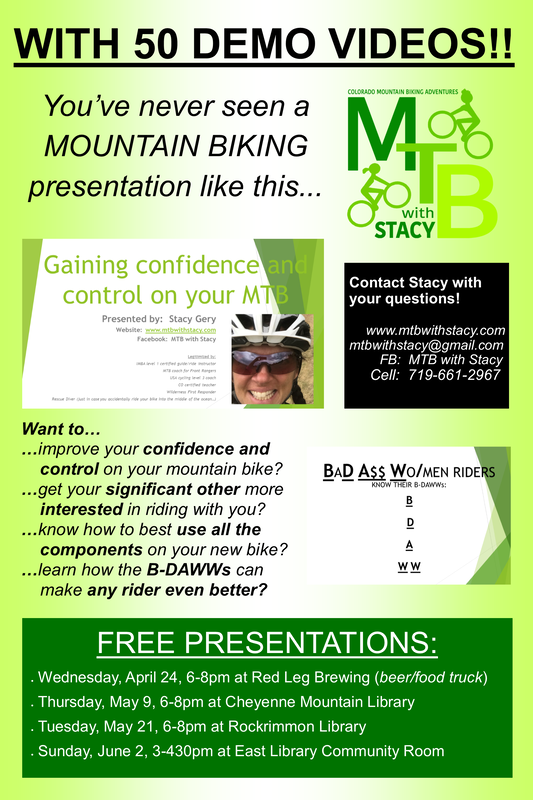 ​Offering the gamut of services for the mountain biking community in Colorado Springs and those who visit. Stacy has five stars from more than 30 rider reviews. Check out why! Can 15 minutes really change your life? Or at least your riding? Check out this video for the answer!